The IRS has issued drafts of the 2018 Form 1040 and new Schedules 1 through 6. This is a major redesign and allows the politicians to say that the tax return has been reduced to postcard size. The new 1040 is about half the size of the current version, with only 23 numbered lines (down from 79). The front page includes signature lines and no financial information. The numbers are reported on the back page of the 1040 and additional Schedules are completed only if they apply to the taxpayer. 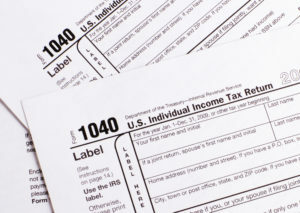 The new Schedules include detail and some information that was on the old Form 1040. For example, Schedule 1 includes state tax refunds, capital gain income and unemployment compensation. The new 1040 will replace the current Form 1040 as well as the Form 1040A and the Form 1040EZ. This new approach will simplify the 1040 so that all 150 million taxpayers can use the same form. The new form consolidates the three versions of the 1040 into one form. At the same time, the IRS will still obtain the information from each taxpayer needed to determine their tax liability or refund. The new Form 1040 uses a “building block” approach, in which the tax return is reduced to one form. That form can be supplemented with additional schedules if needed. Taxpayers with straightforward tax situations would only need to file this new 1040 with no additional schedules. Fill out the form below to e-mail us or subscribe to our helpful tax newsletter.